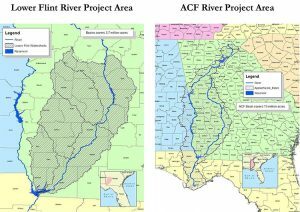 In a major setback to Florida, a special master appointed by the U.S. Supreme Court sided Tuesday with Georgia in a decades-old legal fight over water flow into the Apalachicola River. “Because Florida has not met its burden, I recommend that the court deny Florida’s request for relief,” Lancaster wrote in a 137-page report. 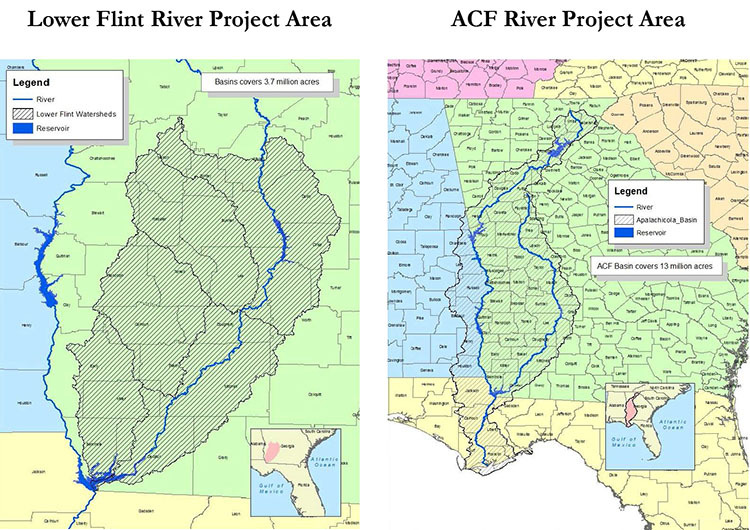 The recommendation, which now heads to the U.S. Supreme Court, is the result of a 2013 lawsuit filed by Florida, alleging Georgia diverts too much water from the Apalachicola-Chattahoochee-Flint river system and that the diversions have damaged Apalachicola Bay and Franklin County’s seafood industry. Georgia countered that any limits on its water use will undermine its economy, including the growth of the Atlanta area and the state’s agriculture industry in southeastern Georgia. A key finding in Lancaster’s report was that, since the U.S. Army Corps of Engineers — which controls water flow through the region in a series of dams and reservoirs — was not a party to the lawsuit, he could not devise a settlement between Florida and Georgia without the Corps’ participation. The lawsuit is the latest development in a decades-old “water war” between the two states, which has led to $72 million in legal costs for Florida, from 2001 to this year, according to a review by the House Appropriations Committee. Legal fees in this year alone could reach $41 million, which prompted a budget amendment from the state Department of Environmental Protection, which was tabled as lawmakers review the legal fees. Georgia officials were pleased by the special master’s recommendation. “I’m encouraged by the special master’s report, which was issued today. It appears to support the position taken by GA,” tweeted Gov. Nathan Deal. Attorney General Pam Bondi’s office is reviewing Lancaster’s report along with the outside counsel hired by the state, said Kylie Mason, Bondi’s press secretary. Dan Tonsmeire, the Apalachicola Riverkeeper, said he was disappointed by the ruling and that the Apalachicola Bay system remains in jeopardy without a more equitable resolution. In his lengthy report, Lancaster supported several key assertions by Florida including the cause of the 2012 collapse of the Apalachicola oyster industry, which normally supplies 90 percent of the oysters in Florida and 10 percent of the nation’s oysters. “There is little question that Florida has suffered harm from decreased flows in the (Apalachicola) River,” Lancaster wrote. Lancaster rejected Georgia’s argument that it was Florida’s mismanagement of the oyster beds that led to the 2012 collapse rather than the decreased water flow that led to higher salt levels in Apalachicola Bay. He said it was the higher salinity, not overharvesting, that allowed an “unprecedented” invasion of oyster predators into the bay, devastating the population. 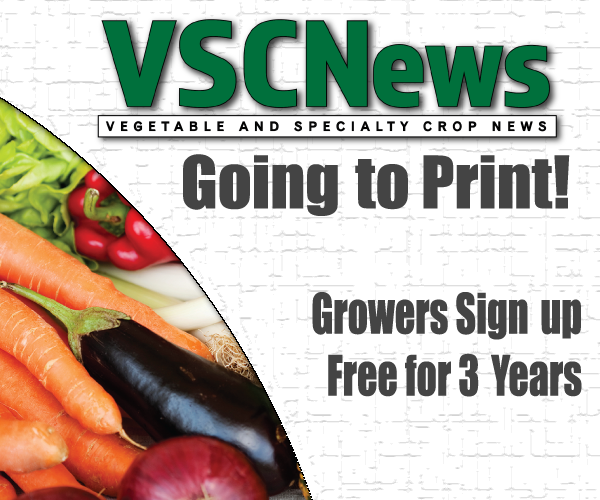 “Agricultural irrigation has increased dramatically in Georgia since 1970,” Lancaster wrote. However, Lancaster did fault Florida for building its case on the harm caused by “low flows” in the system during times of drought, while failing to show how a cap on Georgia’s water use would help during more normal or heavy rainfall periods. But his findings seem to hinge on the role of the Corps of Engineers and the fact that the federal agency is not a party in the case. “The evidence presented at trial suggests that the Corps’ reservoir operations are a significant, and perhaps the primary, factor influencing the amount of streamflow crossing the state line during times of drought and low flows,” Lancaster wrote. The case has been costly for both states and has left Florida and Georgia officials deeply divided over the issue.